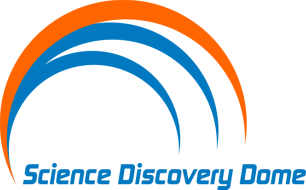 Science Discovery Dome teaches Primary and Secondary Classes from Prep to Year 12. Our science incursion programs are tailored to suit your school timetable, with individual teachers choosing the science program content. 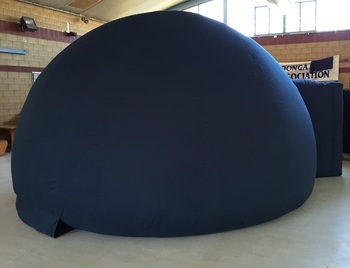 Our mobile Domes fit up to 30 students in the Standard dome, ideal for one class with their teacher, and 60 students in the Giant dome (2 classes per session). Sessions are generally 45 minutes to 60 minutes long (based on your school timetable). Each session is led by a highly experienced and qualified teacher and can cover the relevant Australian School Curriculum, for the Earth and Space Science topics listed below, and/or fulldome movies (follow the link below to see a list of available movies). Sessions led by our presenter are interactive and immersive. Students are engaged using a variety of teaching tools: fulldome digital projections (modelling, video clips, animations), and/or fulldome movies. Our Space Science sessions include a tour of the night sky: stars, planets and major constellations. The night sky is displayed over the ceiling of the dome and is accurate for date, time, and location.